Let's start with the theory to understand why the process of decrypting Wi-Fi traffic in Wireshark requires some effort and why one cannot simply decrypt any captured Wi-Fi traffic even if there is a password from the Access Point. When transmitting over Wi-Fi, the traffic is encrypted using PTK (the Pairwise transient key can be translated as a Pair of Transition Key). At the same time, PTK is dynamic, that is, it is created anew for each new connection. 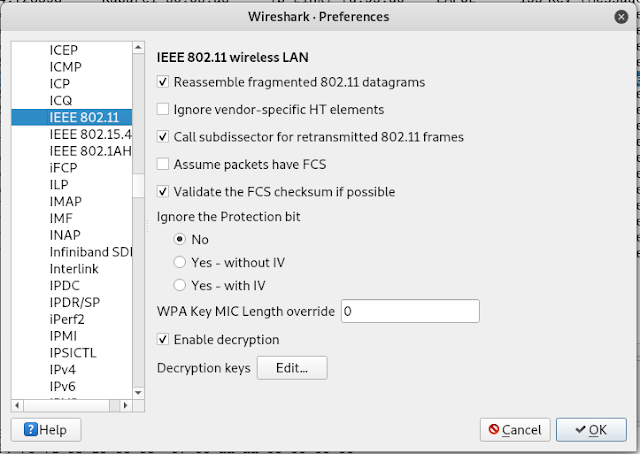 Thus, it turns out that Wi-Fi traffic for each connection in the same Access Point is encrypted with different PTK, and even for one Client after reconnection, PTK changes. 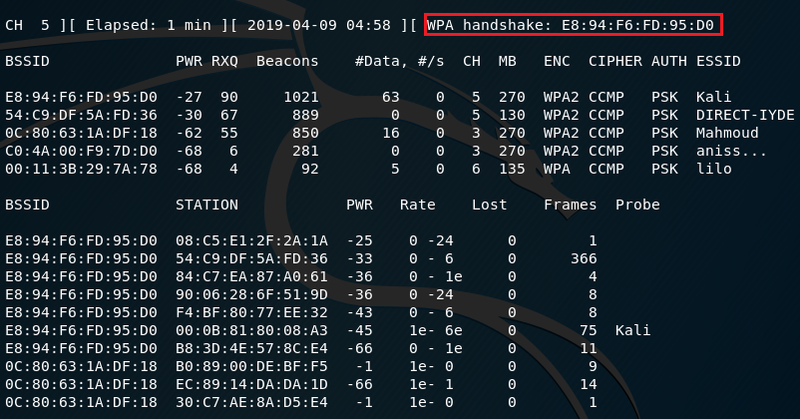 To calculate PTK, you need data from a four-stage handshake, as well as a password from a Wi-Fi network (in fact, you also need other information, such as the network name (SSID), but obtaining this data is not a problem). 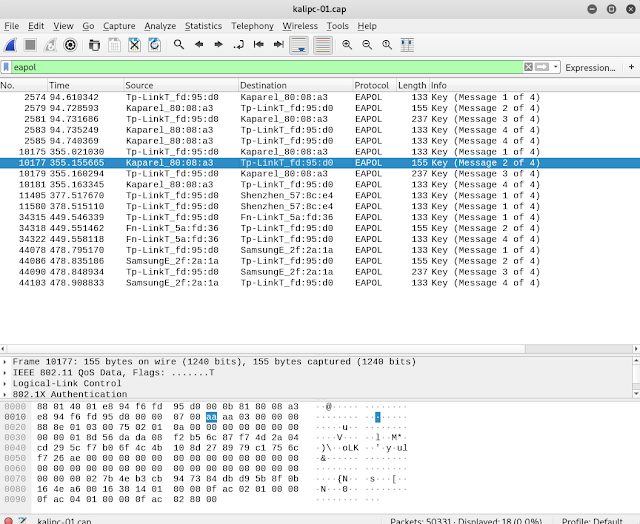 The main thing you need to understand: to decrypt Wi-Fi traffic, you need a four-landmark handshake. And not any, but exactly the one that happened to transmit the traffic that needs to be decrypted. But to use the captured handshake you need a password from the Wi-Fi network. 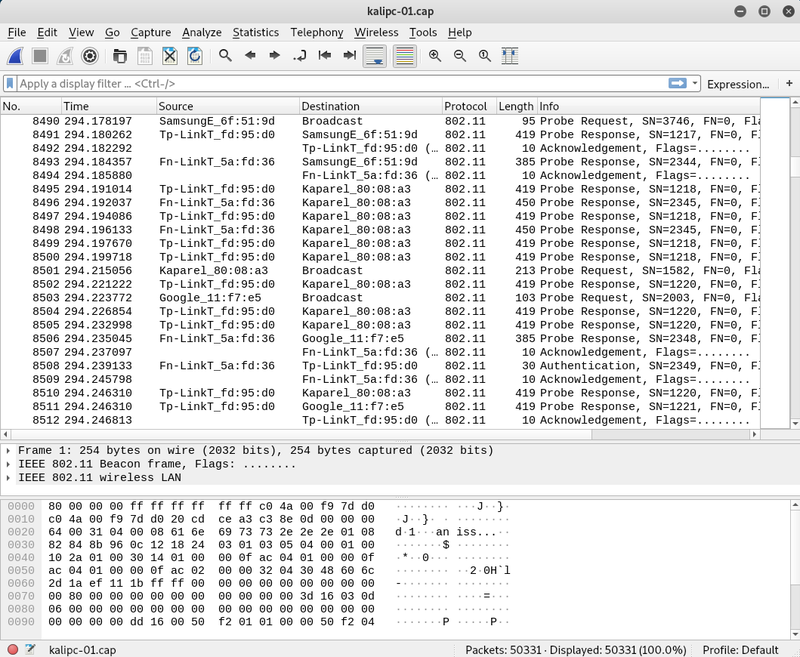 Next will be shown two examples of capturing Wi-Fi traffic and its decryption. 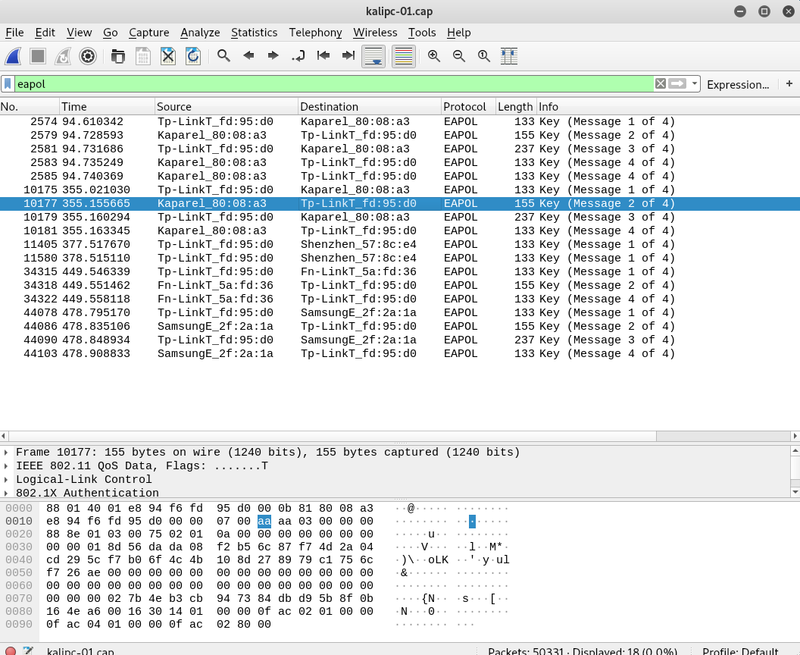 The first data capture is performed using Airodump-ng , and then the wireless traffic will be decrypted in Wireshark. In the second example, the data will be captured and decrypted using only Wireshark . In order for the data to be suitable for decryption, it is necessary that the Wi-Fi card does not switch channels, but to capture information on one channel on which the target Access Point operates. Therefore, we start by collecting information about the target access point. 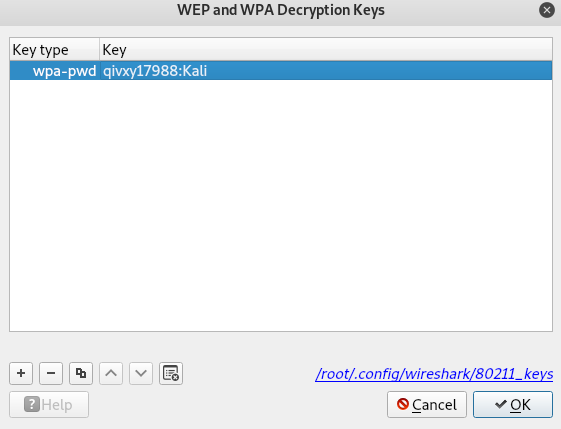 For example, I want to capture and decrypt traffic for the Kali Access Point, which operates on channel 5. That is, without decryption, we see only the MAC addresses of the data transfer participants, some types of packets, as well as data packets — in which the payload is encrypted. 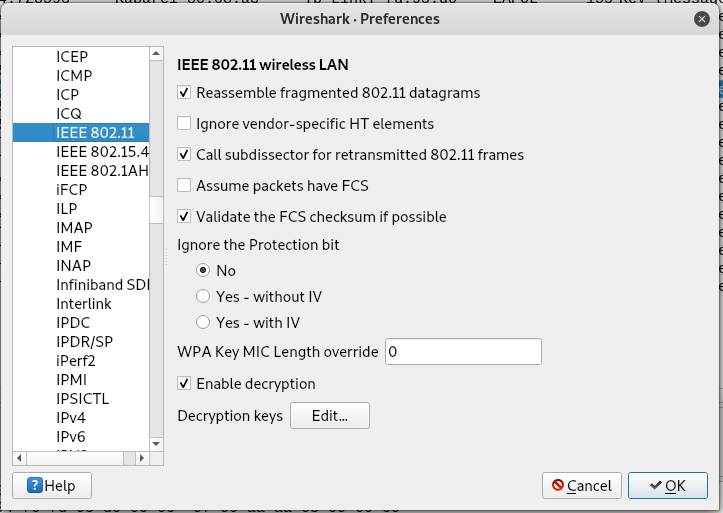 Before decoding, we need to make some changes in the IEEE 802.11 protocol settings. Click the Create button . 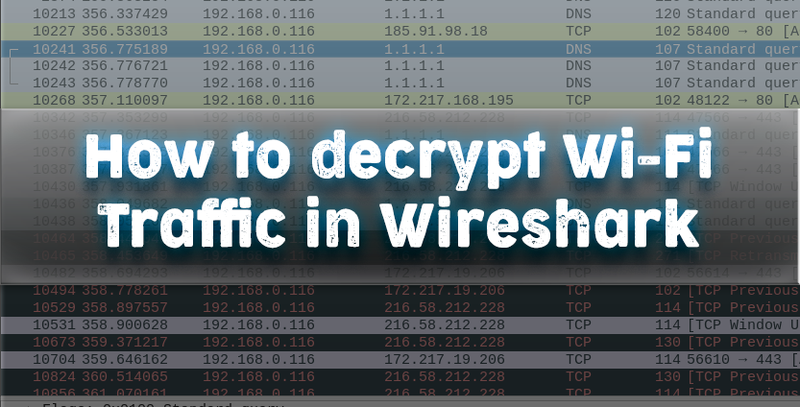 In the window that opens, in the Key type field, select wpa-pwd , enter the password for the Wi-Fi network, and after the colon, enter the network name (SSID) and click OK.
Now there are visible DNS, HTTP requests and responses, as well as other network packets. If traffic is captured not only for this network, but also for other networks operating on the same channel, or for this network but other clients for which no handshakes are taken, then this traffic will not be decrypted. 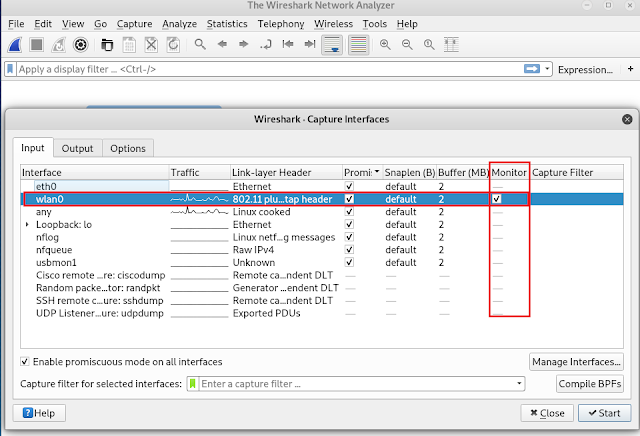 Capture Wi-Fi in Wireshark Wi-Fi traffic can be captured directly in Wireshark. The subsequent decryption is performed in exactly the same way as shown above. 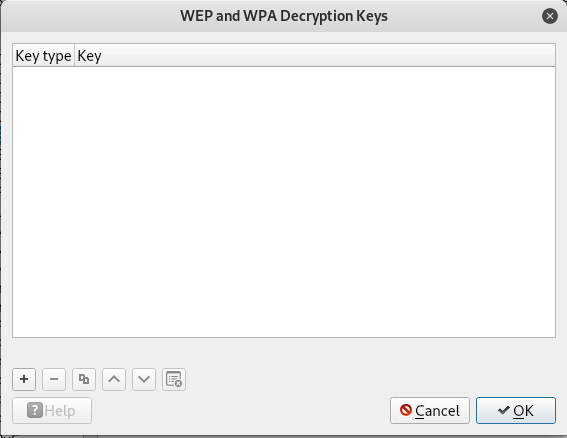 To decrypt WEP Wi-Fi traffic, you only need to know the password.